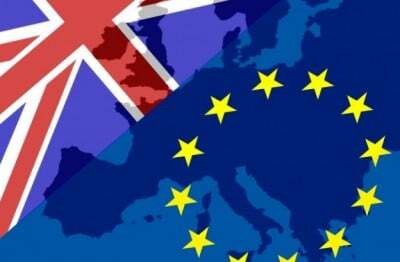 The Brexit Aftermath: Confusion Reigns! And as I turned on BBC News this am, not surprisingly, in the face of the Referendum result, the BBC is now saying the reason we voted to leave is because of the fear created around the issue of immigration! Talk about the pot calling the kettle black! BBC news coverage has never stopped making immigration one of its main talking points, endlessly, ad nauseum, citing it’s usual, self referential argument that, â€˜it’s what people are worried about that counts, not the reality and that’s why we have to report it’. Is it any wonder therefore that we see reactions like the example above? So how to deal with the fact that as a socialist, I voted the same way as Nigel Farage (even if for diametrically opposed reasons)? And therein lies the rub as they say. Many a strange bedfellow as I think Vladimir Illyich Lenin commented about something or other. Because the central issues that should have been at the heart of any debate on the EU, were and still are, totally absent, so what else is there to talk about except what the ruling elite decides is important for us to focus on? Immigration. It’s always worked in the past. Essentially, on both sides of what has passed for a debate, it’s been about whether we will be better off (financially) in or out of the EU and the role that immigrants/refugees allegedly play in the process of making us richer or poorer, in or out? And then a lot of guff about â€˜sovereignty’ (something we gave away long ago when we became the US’s poodle and an aircraft carrier in the Cold War) and â€˜being British’, whatever that is. Is it any wonder therefore, that confusion reigns. And the breast-beating will begin, has begun, and the mea culpas, and the blame game. In other words business as usual. Either way, we know that it will be ordinary people who pay the price. Well somebody will have to pay for daring to defy the Empire! But what is also apparent is the total disarray amongst our ruling elites. I am convinced that they never seriously considered that the British people would actually vote to exit. I think the idea had not entered their tiny, myopic minds, so confident were they that their propaganda campaign, led by its faithful mouthpiece, the BBC, could fail. Well it’s never failed in the past has it? Yet it’s directly the result of the propaganda campaign that’s been waged by the self-same elite that over half the electorate voted to leave. No wonder the BBC is calling the result an “earthquake”. And no wonder. How exactly, do we extricate ourselves from a dictatorship of banks based in Brussels? But look on the bright side: It’s a whole new slew of consultants jobs waiting to be created whose function will be to try and untangle ourselves from the Gordian Knot called the European Union. As for the left: well I think this is an incredible opportunity for us to consider our options and what the break opens up for us, if indeed the break does goes through. But will we rise to the occasion I wonder?